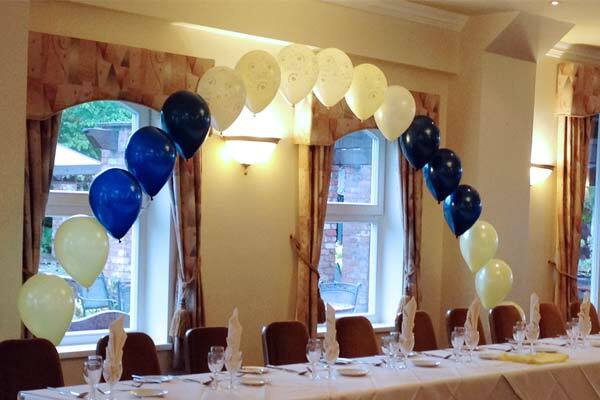 Helium balloon decorations and arches styles for weddings and parties. This first impression of the event can be subtly striking, bold and exciting or quietly elegant. Whatever the look you wish to achieve can be obtained by using balloons. Set of three balloons are a popular choice for table decorations. For venues like village halls that may be a little bare, a set of balloons on every table is a great way to bring colour and life to the space. The right colour and design of balloons can enrich the room and lift the setting. 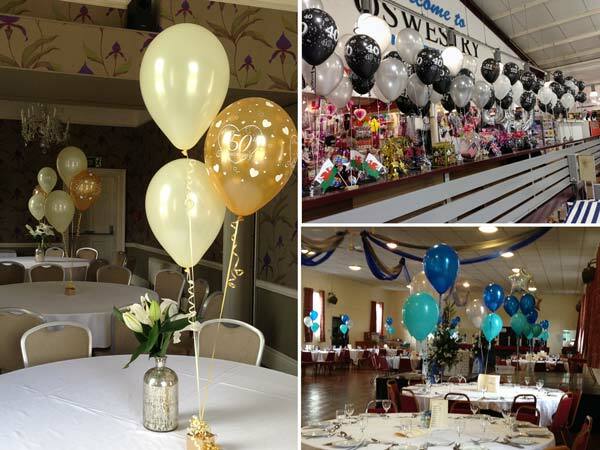 All our balloon sets come prepared to go straight onto the table and are set over a box (white/cream/gold/silver/light blue/dark blue/pink) and dressed with ribbons that match the colours of the balloons. A foil balloon can be added into a table cluster to build on a theme. 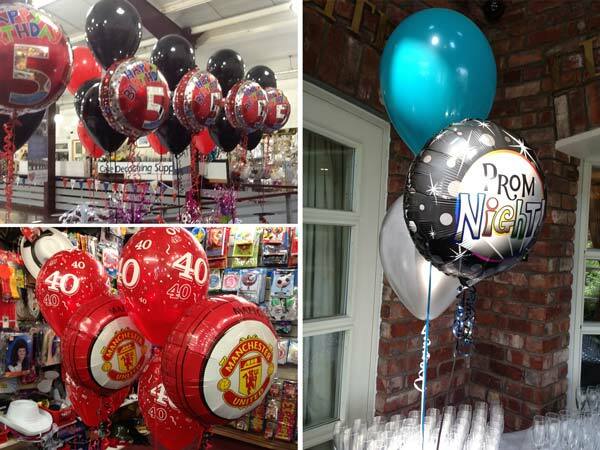 Price: £6-50 per set for one foil and two latex balloons, set on their own box. 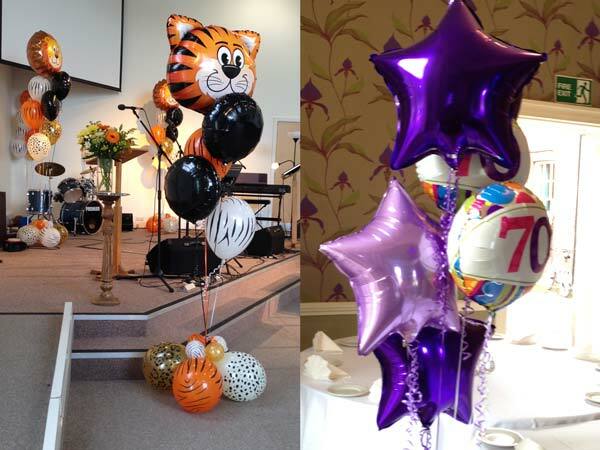 Either with latex balloons, foils, or a combination, big bunches are a great way of filling the space with colour. Balloon arches behind the top table, doorway or cake table can set a scene beautifully.